We are pleased to welcome Lloyds Banking Group as users of AppTracker. 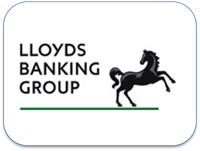 Lloyds Banking Group are a financial services group with more than 30 million customers in the UK, and a foothold in every community. We are familiar on almost every high street and among more than a million businesses through our strong heritage of Lloyds Bank, Halifax, Bank of Scotland, TSB, Scottish Widows, and other brands.